In 2006 the Fron Choir won a record contract with Universal Music Classics and Jazz. Its first release, Voices of the Valley, went Gold a week after its launch and was nominated for NS&I Album of the Year at The Classical Brit Awards 2007. 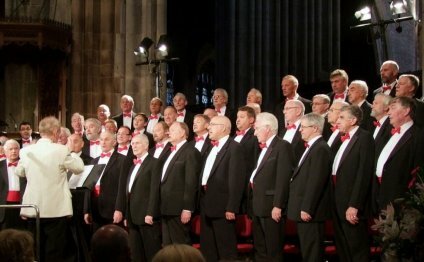 Voices of the Valley – Encore followed in 2007 and Voices of the Valley – Home in 2008. The latter was nominated for a Classical BRIT in 2009. The Fron’s fourth release on Universal, Voices of the Valley – Memory Lane, was released in November 2009. This was also nominated for NS&I Album of the Year. In 2011 the choir released Voices of the Valley – The Ultimate Collection, comprised of the choir’s best tracks from the last five years and two new recordings of the classic rock ballad, He Ain't Heavy and the song Grandad, which featured the vocal talents of the choir's grandchildren. In 2011 the Fron Choir performed a series of flash mob concerts while touring in New York including one in the middle of Times Square!